SEBI is now wooing FIIs all over again. A notification in the last week of May allows for non-resident Indians, sovereign wealth funds (SWFs), universities, societies and trusts to invest in India as FIIs. FIIs have been net sellers in the Indian equity market. 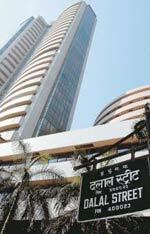 Last year, when the Securities & Exchange Board of India (SEBI) slapped restrictions on participatory notes (or P-notes, which are derivative instruments that enable foreign portfolio investors not registered with the regulator to invest in Indian equities), Dalal Street punters saw it as a huge blow to inflows from foreign institutional investors (FIIs). Whilst some of those fears were exaggerated, the FII tap wasn’t exactly gushing after the P-note curbs were enforced. Now, however, SEBI seems in a mood to attract more of those flows. A notification in the last week of May allows for non-resident Indians, sovereign wealth funds (SWFs), universities, societies and trusts to invest in India as FIIs. FIIs have been net sellers in the Indian equity market to the tune of $4.62 billion (till June 5) and the BSE Sensex is down almost 29 per cent (till June 9) from its peak in early January this year. “(This notification) makes the process simpler and easier. The effort is to make the market more efficient,” says Vikas Khemani, Co-head (Institutional Equities) at Edelweiss Securities. He thinks if the market sentiment improves, this will augur well for inflows from FIIs. Allowing SWFs, say market men, is a positive step as they can bring in big money. A lot of money from West Asia could pour into domestic equities at a time when oil prices are rising, they add. “Without doubt, SWFs are large players among the new financial power brokers. Total SWF assets are larger than hedge fund and private equity assets combined and account for about half the size of all official foreign reserves,” says JPMorgan in a report on this subject. JPMorgan projects the annual growth rate of total SWF assets at roughly 20 per cent over the next 5-10 years. Assets under management of over 50 SWFs were in the range of $3-3.7 trillion at the end of 2007. Alongside, overseas corporate bodies (OCB) can once again invest in Indian stocks. OCBs were banned from doing so in 2001, after the securities scandal that year involving Ketan Parekh. So now persons of Indian origin and working with global fund houses and investment banks like Morgan Stanley, Goldman Sachs, and Fidelity can think of starting their own funds and invest in India even if their start-up company does not have a track record. This is possible as SEBI is now keener to look at the track record of the fund manager rather than the fund. “There are a lot of reputed fund managers on Wall Street who are of Indian origin, and who obviously understand the Indian markets better; they have floated or are in the process of starting their own funds and investing in India as FIIs,” says Siddharth Shah, Head of Fund Practices at legal firm Nishith Desai Associates. Shah adds that the new regime will facilitate direct registration by such entities as FIIs or as sub-accounts. Stock market players say several applications are pending with SEBI for registration as FIIs or their sub-accounts. Many of these applications are understood to be from funds promoted by NRIs, which were not allowed to invest in Indian market through the FII route. These applications are apparently pending as the regulator was waiting for these amendments. However, there are concerns about the misuse of the OCB route —as has happened earlier—with black money from India being laundered through the FII route. But such fears may be over-stated. “Branding every such entity in the same bracket with a fear of potential money laundering and applying general restrictions on their legitimate entry into the market may not be the appropriate way of dealing with the issue,” says Nishith Desai’s Shah. Rather than blocking the OCB path, a more practical option would be that of putting in place more stringent know-your-client norms, ample scrutiny at the approval stage and strengthening the enforcement of anti-money laundering provisions.